An amazing review of my new book Phoenix appeared today in the Daily Mail, where Sally Morris described it as "a thrilling space/sci fi adventure... fabulous, high octane stuff, with an uplifting ending, stunningly illustrated by the brilliant McKean"! To celebrate, I'll be posting one of Dave McKean's amazing images here every day. Please please share these as widely as you can, and help spread the word... And if you leave a comment on one of these images, I will pick a comment at random and send that reader a signed copy of Phoenix! Hi this is Thomas, I hope I win a copy of Pheonix, it looks AWESOME!!!!! Whats the Speed Of Dark??!! Thank you so much, Thomas! 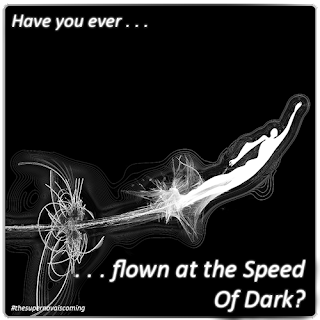 The Speed of Dark is an idea in the book; it's the speed that the alien starships fly at. They use Dark Matter technology, and have devices called Astrolabes that enable them to travel faster than the speed of light... I'll be making a post about all this in the near future, so watch this space!